Just as if you were opening a brick-and-mortar store in your town, if you are running an online store, you’ve got to make sure that people show up to buy your products. You need people to know what you’re selling, why they need to come in and buy, and why they should tell other people to buy it as well. There are many reasons why social media is an effective tool for selling your products. It’s cost effective, there are billions of users on social media and it helps build a community around a store! With tons of other social media platforms popping up everyday, your marketing options may seem overwhelming. But you don’t have to be everywhere at once. Explore your social media options wisely and use platforms that best showcase your products and reach the audience you’re looking for. Facebook — Facebook is a must have. It has customizable marketing and tracking tools with a massive reach. Every merchant should create a FB business page. 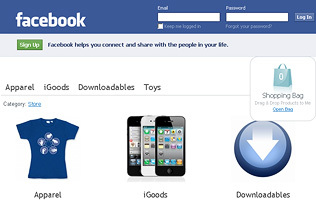 And of course you can add your Ecwid store to your Facebook page! Twitter — If you have the time and resources to send consistent tweets you can develop a following. Instagram and Pinterest — If your product has a strong visual element. For example if your store sells clothing or unique items that need to be seen. LinkedIn — Great for products geared to businesses and professionals. Customers are more inclined to get involved if they feel that they are receiving special treatment or getting a deal that can’t be found elsewhere. Create different offers for each social media platform you use. Inviting your customers to interact with your product and brand will develop loyalty and help spread the word. Create contests or promotions that give people an additional chance for winning if they share the news. Regularly update your accounts with new content to keep your business on your followers mind. Layout and policies for social media platforms can change over time, make sure you’re making the most of each one. Don’t be afraid to show your human side by posting inside news and pictures of your employees. Always remember, the customers come first. Answer all comments and feedback, even the negative ones. Make the customers feel special and avoid formal marketing speak. Imagine that you tell news about your store to your friends or colleagues. Adding Ecwid to your store is easy, efficient and no big investment is required!